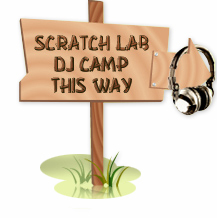 Scratch Lab will be conducting a summer camp for people of all ages to learn the art of DJing. 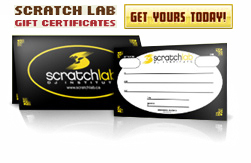 Classes will take place at Scratch Lab and will consist of material from our Beginner curriculum. Days will consist of instructional learning, practice time and other relevant information needed to “Mix, Match & Scratch". Camp will be broken up into two sessions (July & August) with the Beginner 1 material being covered in July and the Beginner 2 material in August. Sessions are paid for individually and signing up for both months is not required. Each camper will be provided with all of the necessary equipment. Each day, camp will start at 10am and run until 3pm. Lunch is between 12pm and 1pm. Classes are capped at 12 people with the average student to instructor ratio being 6:1. Please specify on registration form your date of birth and the week you are interested in enrolling.